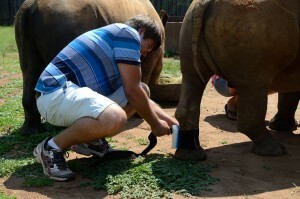 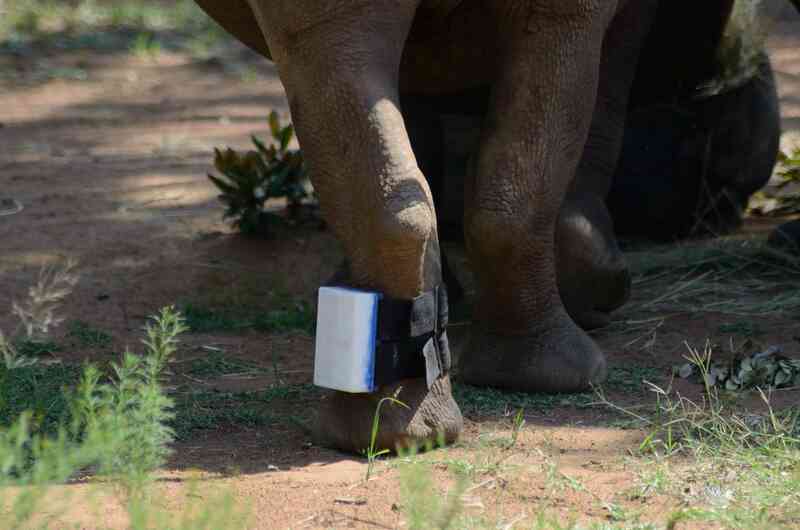 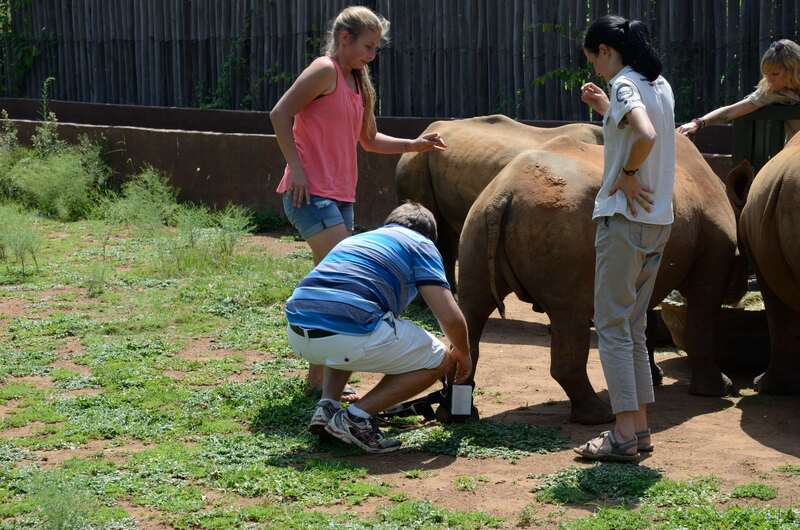 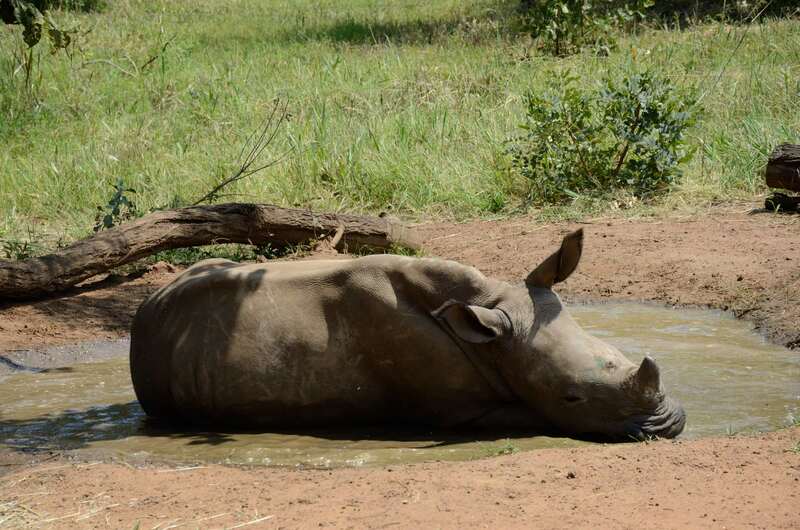 After successful tests on sheep, the PREDNET team has tested the developed wearable connected monitoring device on the rhinoceroses in the private farm. 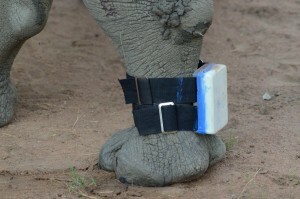 We obtained interesting data about animals’ mobility. 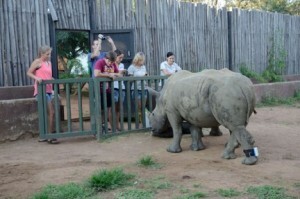 The animals were brought up as orphans and are reasonably used to humans, particularly at feeding time. 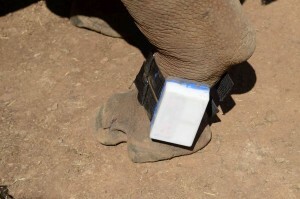 The tags can be made much smaller, but at this point we just wanted some results from hardware as it stands now. What was clearly shown, is the extreme robustness required for these units. 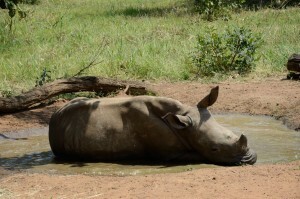 Just look at the mudbath! 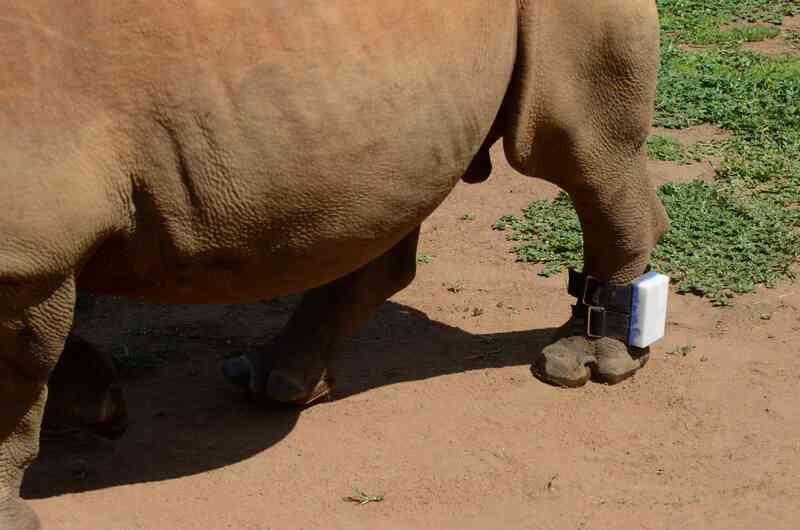 Also, from a radio transmission point of view, the position so low on the ground is not perfect, but rhinos do not offer you many other options.